Wanna swim with the Sharks? Well, here’s your chance! 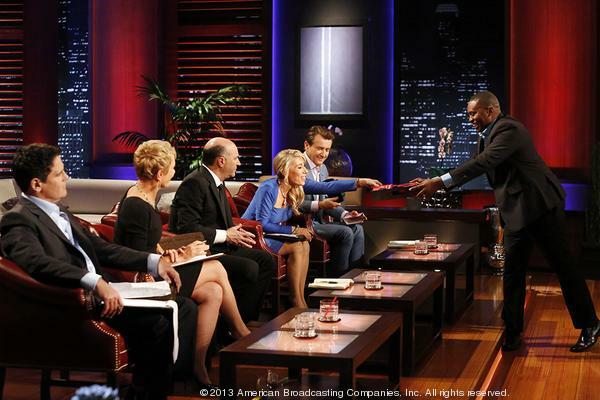 The ABC unscripted, hit reality television show “Shark Tank” will make an open casting call this week in Miami Beach on Thursday, Jan. 15 at the Miami Beach Convention Center. The show, which allows entrepreneurs to pitch business ideas to wealthy investors, will send its casting team to the Small Business Expo to hopefully make a few local entrapraneur’s dreams come true. The Sharks — tough, self-made, multi-millionaire and billionaire tycoons – are on a continual quest to find and invest in the best businesses and products that America has to offer. The Sharks coming our way are: billionaire Mark Cuban, owner and chairman of AXS TV and outspoken owner of the 2011 NBA championship Dallas Mavericks; real estate mogul Barbara Corcoran; “Queen of QVC” Lori Greiner; technology innovator Robert Herjavec; fashion and branding expert Daymond John; and venture capitalist Kevin O’Leary. The entrepreneurs who dare to enter the Tank must try to convince the Sharks to part with their own hard-earned cash and give them the funding they desperately need to turn their dreams into million dollar realities. The Sharks have an end goal as well—to get a return on their investment and become a part of the next big business idea. Over the past 5 seasons, the Sharks have offered more than $45 million to fund a variety of innovative ideas. So, here is your chance to chase the American dream and potentially secure a business deal that could make you a millionaire. And whether or not your play date with the sharks leaves them biting, you’ve got another opportunity that is at Lakeside Executive Suites. Lakeside Executive Suites, a full-service office space provider, is a partnership with million dollar potential just waiting for you. We offer workspace solutions ranging from virtual offices, shared office, coworking space, to fully appointed private offices—all with access to meeting rooms and business support services. You choose the configuration that meets your needs and add on as your business continues to grow. A guaranteed opportunity to fuel your entrepreneurial spirit without breaking your budget and a chance to gain back time in your day that you can reinvest in your business. Take charge of your own destiny and don’t wait for someone else to do it. Contact Lakeside Executive Suites at (877) 301-6197 or visit us on the web at www.lesweston.com. 2015 is the year to up your professional game and strengthen those areas that work and eliminate those ones that are holding you back. To get results you’ve never had before, you have to do things you have never done. Here are 10 steps you should take to move your business forward in the New Year. Get all the help you need in this area. Social media is a driving force in business and in sales. If you are not comfortable with this area of your business, then find someone who is. Social media should be an ongoing effort and one of your top priorities. Learn how to use smartphones and other business-generating apps. Don’t trust this important opportunity to chance. Study your market and utilize a variety of methods to reach them. The world sees you through your website. Update your website and make it work. You want to make sure your website uses responsive web design which means it can adjust to smartphones, tablets, personal computers, etc. You want to be accessible with any given technology your potential customer is using. Carefully think about who is most important to you in business: customers, prospects, staff, etc. and invest in them. Put your limited resources of time, money and energy into the people and things that will yield the maximum result. This is business and this is vitally important. There is brand loyalty but there is also loyalty to the person behind the brand. Why not have both? Offer a great product and don’t be afraid to stand behind it. Let your audience see and feel that you believe in the service or product you offer. Be a people magnet because of the wealth of information and ideas you have. Know your industry so customers look forward to hearing about you and how you can help them build their business. Successful people carefully manage their time. Have a sense of urgency and get more done. Make proper time management your goal this year. A postcard with your own handwriting, a phone call, an e-mail, a gift certificate…..all these things add a personal touch to doing business. Stand out amongst your competitors and let your customers know you value their time, business, and loyalty. Your hustle factor is often the difference between success and failure. Don’t be afraid to put yourself out there as you miss a 100% of the shots you don’t take. Your hustle factor will be the driving force that helps you navigate your business. Owning and running a business can leave you pulled in a hundred different directions. Between personal and professional obligations, rarely are there enough hours in a day to do it all. Part of running a successful business is knowing when to seek help when help is needed. Lakeside Executive Suites in Weston, FL is here to make that decision for you even easier. We offer workspace solutions ranging from virtual offices, shared office space and coworking space to fully appointed private offices as well as access to meeting rooms and business support services. Officing at Lakeside Executive Suites means you gain back time in your day to reinvest in your business and personal life. Lakeside Executive Suites would like to wish you a prosperous New Year and encourage you to learn more about how we can better prepare your business for the opportunity that awaits. Contact us at (877) 301-6197 or visit us on the web at www.lesweston.com.